Lisa Raleigh is an entrepreneur with over 15 years in the wellness industry. Kicking off a public career as a trainer back on SA’s The Biggest Loser, Lisa now writes frequently for magazines, newspapers and online platforms. In 2011 she published a bestseller, No Fries on Us, and launches her Body Back lifestyle programme in August, with a book to follow in 2018. Her NGO, the LIVERIGHT FOUNDATION, has provided healthy free street fairs to JHB wards, while her online health challenge, well i am, completed its 6th season last year. Lisa’s first self-produced show, 101 Exercises to Try Before you Die launched on DSTV's TRACE Sports Stars in 2014, and her 2017 television calendar includes a 7-month campaign on The Expresso Show. 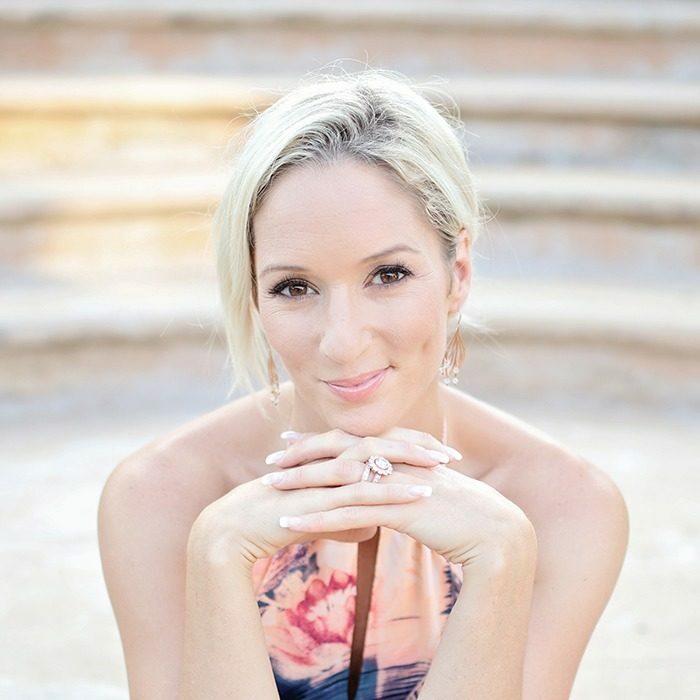 Lisa is an ambassador for multiple fitness and wellness brands – such as Fitbit and Dis-Chem - and hosts wellness seminars, including her 5th season with the Miss South Africa Finalists. Lisa is often a guest at various expos around the country. Lisa will be a return guest chef at the Good Food & Wine Show this year, cooking daily at each of the three shows. Here, Lisa demonstrates convenient, affordable and tasty ways to lead a healthy lifestyle. Other expos on the cards for 2017 are Mama Magic and the Working Mother's Expo. One of Lisa’s greatest passions lies in public speaking. Lisa is regularly invited to give talks or demonstrations at corporate companies, events or large expos, in a number of capacities. Lisa is known for being a very real speaker, who touches on uncomfortable but necessary subjects. She is happy to speak from the heart about her own successes and failures, and offers realistic and relatable advice to her audience that keeps them feeling motivated instead of overwhelmed. The digital era we live in often leaves individuals confounded with conflicting wellness advice. Real solutions, presented in person, straight from the experts is what audiences need to commit to healthy change. Let Lisa simplify health strategies and share her balanced, realistic and heartfelt approach to healthy living with you. Lisa teaches individuals HOW to exercise effectively and safely, prioritising technique in every demonstration. She can give viewers the tools they need to ‘fish’, learning how to create their own programmes and train effectively at home – both in strength and cardio. Every demonstration is supplemented with useful exercise anecdotes, educating the audience as they train. As a passionate and inspiring speaker, Lisa has been invited as a guest to talk on a range of topics within the field of wellness. Lisa has years of experience in hosting and speaking at wellness workshops, both self-produced and upon invite. She is comfortable in both high-end formal settings at special events or corporate functions, as well as smaller, more informal environments like networking breakfasts or ladies lunches. Lisa’s talks are tailored to the client’s requirements, covering a wide range of subjects from wellness, motivation and female empowerment, to motherhood, digestion, stress and self-love. - Selfish to be selfless. - Why good digestion is not just a suggestion. - No more exercise excuses. - Staying healthy on a time budget. - Why you can’t out-exercise a bad diet. - Easy life hacks to upgrade your health daily. - Ten secrets to longevity. Lisa has grown her reputation as an engaging Emcee, presenting across a number of settings, from the World Conference on Healthy Ageing to Miss SA special events. Lisa can adapt to a variety of environments, whether it is a corporate event, a public expo or a more intimate setting. She conducts countless hours of research to ensure that she fully understands and comprehends the target audience and the subject/s of the events she hosts. Lisa is a natural in front of the camera, and has presented for both prerecorded television as well as live events.